It is very convenient to book for Universal Studios Japan using Klook and you will get your actual voucher to directly enter USJ. The place is very big and one day is not enough. I spent half day at Harry Potter Wizarding World alone. I wish I could go back and explore the other parts of the park. 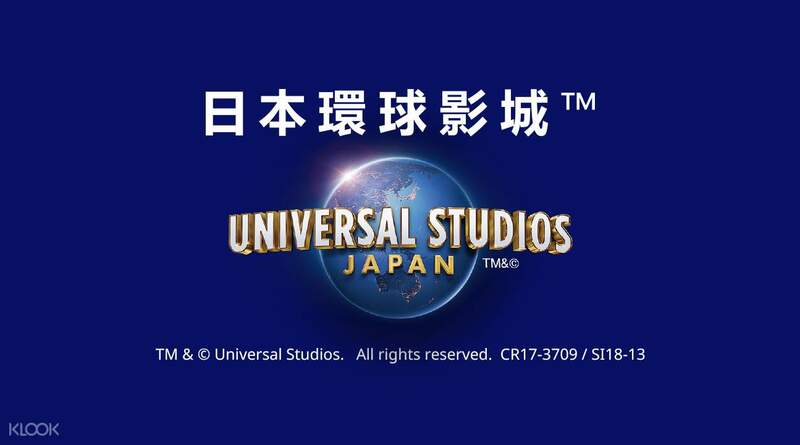 It is very convenient to book for Universal Studios Japan using Klook and you will get your actual voucher to directly enter USJ. The place is very big and one day is not enough. I spent half day at Harry Potter Wizarding World alone. I wish I could go back and explore the other parts of the park. We were so excited to visit The Wizarding World of Harry Potter. Must try the butter beer. Thank God we bought the tickets with klook and skipped the queue. It's so easy to use the tickets, just print the voucher and scan before entering park. We were so excited to visit The Wizarding World of Harry Potter. Must try the butter beer. Thank God we bought the tickets with klook and skipped the queue. It's so easy to use the tickets, just print the voucher and scan before entering park. Going to the park from our hotel was easy given Japan’s efficient mass transport system. The park was wonderful - great attractions for young kids and those a bit older. The lines were not so long. I guess it wasn’t the peak season. The weather though wasn’t on our side as the rains cancelled the parade on the day of our visit. All in all, it was an enjoyable experience for my whole family. Going to the park from our hotel was easy given Japan’s efficient mass transport system. The park was wonderful - great attractions for young kids and those a bit older. The lines were not so long. I guess it wasn’t the peak season. The weather though wasn’t on our side as the rains cancelled the parade on the day of our visit. All in all, it was an enjoyable experience for my whole family. awesome i loved the experience. USJ always left good impression every time i visited. during last year the weather was a bit too hot but it’s still fun. this year visit, the tour went more smoothly since the chilling weather. definitely a must if you go to osaka. awesome i loved the experience. USJ always left good impression every time i visited. during last year the weather was a bit too hot but it’s still fun. this year visit, the tour went more smoothly since the chilling weather. definitely a must if you go to osaka. Enjoyed the visit to Universal Studios Japan with Sesame Street characters, Hello Kitty, etc. Kawaii. Lots of locals dressed up as Harry Potter characters, making it very festive too. Convenient stores Lawsons are plenty around outside the park, easy and cheap to buy food and drinks. Enjoyed the visit to Universal Studios Japan with Sesame Street characters, Hello Kitty, etc. Kawaii. Lots of locals dressed up as Harry Potter characters, making it very festive too. Convenient stores Lawsons are plenty around outside the park, easy and cheap to buy food and drinks.